Of droughts and flooding rains..."
These few well-known lines of Dorothea Mackellar’s poem 'My Country' perfectly describe the Murray–Darling Basin. The Murray–Darling Basin is an area of over 1 million square kilometres in south-eastern Australia. It is made up of 23 river catchments and is bounded by the Great Dividing Range in the south and east, the central Queensland sandstone belt in the north, and the arid interior in the west. 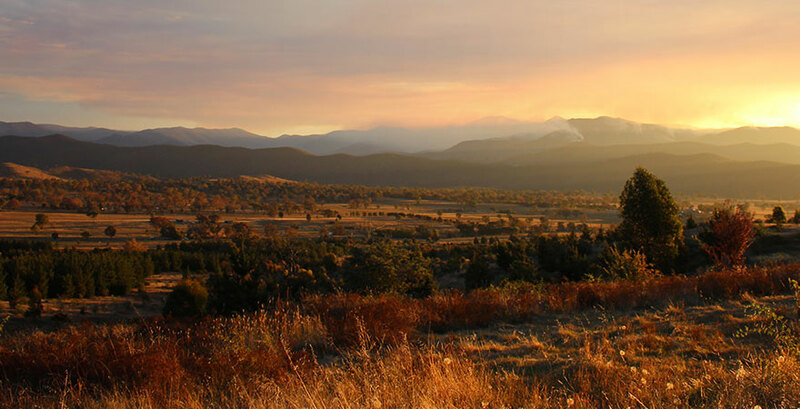 The Murrumbidgee River valley & Brindabella Mountains. Named for the way that water flows in its vast area, all the streams, creeks and rivers of the Basin flow towards the Murray or Darling rivers, and ultimately to the Southern Ocean. The watercourses mostly start as fast flowing streams in the Great Dividing Range. As the rivers flow inland across wide riverine plains, the river channels widen and meander through the countryside, slowing down the pace of water flow through the system. A large amount of water evaporates along the way, a considerable amount is soaked up by wetlands, and in the last 200 years, much water is used to supply towns and cities, industry and irrigation. The Basin is a landscape that is over 60 million years old. While its basic shape and foundations largely have remained unchanged during this time, earthquakes, volcanic activity and the coming and going of ice ages have shaped the Basin to the 23 major rivers, over 30,000 wetlands and expansive riverine plains that we see today. The sheer size of the Basin means that it encompasses several climate zones: semi-arid, subtropical, temperate and cool temperate. In the Great Dividing Range, where most rivers rise, average annual rainfall is high, often over 1,000 mm. As the rivers work their way inland, annual rainfall is increasingly lower and evaporation rates increase. Throughout the Basin, variability is a feature of the weather experienced from one season to the next. Drought and flood have long been part of the Basin climate, and climate change predictions are that seasonal variability will be greater than experienced in the last 200 years. 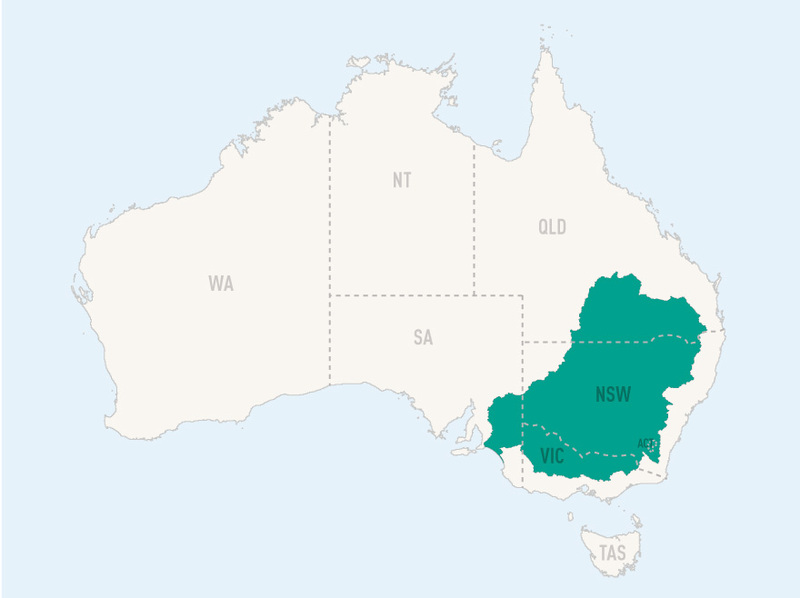 The Basin spans 14% of Australia's landmass, covering parts of South Australia, New South Wales, Victoria and Queensland and all of the Australian Capital Territory.